Planting Your Garden. 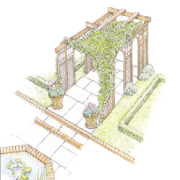 Garden design articles. Now it is time to plant: To succeed with your planting, match your plants to your soil and to the differing conditions-sun, shade, moist, or dry soil-in your garden. Look at your neighbours gardens to see which plants do well before making your plants list. Test your planting: When you have most of your plants and are ready too start planting, check to see how they will look in position. Set out the plants in their pots in the position where you intend to plant them. Use stakes to simulate any trees you will be planting remembering that they will have spread and will cast shadow. By doing this, you will be able to picture the effect. Best To Plant in Early Spring: Any organic matter you added during the Autumn to improve your garden soil will have rotted down. 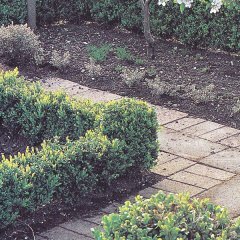 It is better to start by planting the plants that will form the basic structure of your garden such as large shrubs, trees and hedges. 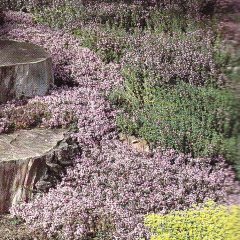 Also, if you intend to have rockeries, or have embankments, this is the time to get in your ground cover plants. 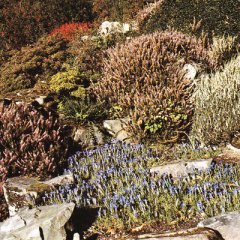 Save Time: There are many low-maintenance shrubs and grasses that are very appealing and are much easier to maintain than herbaceous perennials or annuals. By planting your favourites near your house you will be able to enjoy them more and also attend them whenever they need it. 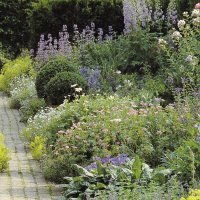 Establishing the garden quickly: By planting perennials that grow quickly such as delphiniums, geraniums and ground cover plants such as aubrietia or periwinkle you will speedily cover the bare soil and give your garden that well established look. When fixing a trellis to a wall. First fix battens to the wall and then attach the trellis to the battens. A space between the trellis and the wall will allow the plants to spread and if you ever need to remove or replace the trellis it will be a lot easier. Many types of ties are available but soft string is as good as any. Tying properly involves attaching the stem to the support before the plant starts to flop. 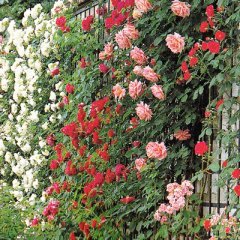 When tying climbers to a trellis spread them vertically to form an espalier this will improve the display.